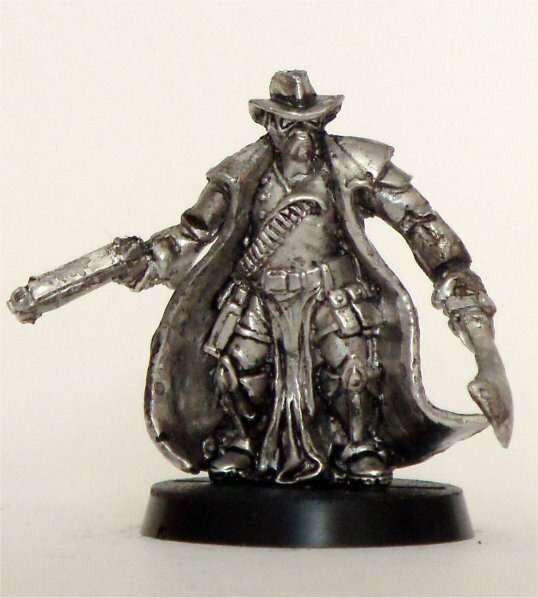 Up now is the fantastic Bounty Hunter from Silent Spectre Studio (S3 Minis). Ever heard of Lobo, Spike Spiegel, Rick Deckard, Dog, and Boba Fett? Apparently they’re bounty hunters? Bah! – they’ve got nothing on this guy – just look at his hat! Suggested Powers: A wrong does make a right, Combat Master, Bad Shot, Good Aim…!?! Disarm, Good at Everything, Re-Arm.